Pop is one of the world’s most beloved styles of music. With high energy, upbeat vibes and a full range of tones, pop has been at the top of the charts for years. Whatever artists you’re into, there is a lot to gain by learning how these pop artists create their sounds. Here we look at how you can make music fun by learning the art of pop music. Pop originated from rock music back in the 50s. Short for “popular music,” it borrows a little bit from every genre – rock, rap, country, Latin, dance – to make infectious tunes we all love. Pop music is best known for its hooks, melodies, rhythm, and lyrics that stick in your head. Learning how to play pop is a great entry genre for a lot of musicians. 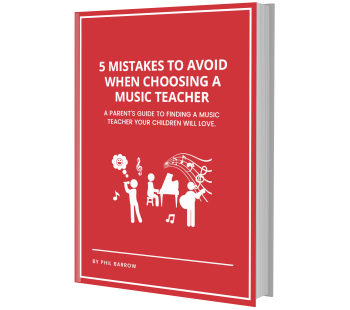 Many of the melodies are simple and repetitive, so you can easily pick up the notes from listening to the music or through music lessons that help you identify notes and chord progressions. Pop music typically features guitar, bass, drums, piano, and vocals, though many artists love to incorporate horns and electronic instruments into their music to create a bigger range of sounds. Studio play allows you to combine and mix sounds together that otherwise would not be easy to create on stage. But you don’t need a studio to easily learn the basic chords needed to play some of the most popular songs. And no matter what instrument you play, pop songs can be easily interpreted and adapted across a wide range of sounds. You’ll find that many pop singers have a large range of tone when they sing. Whether you can sing in alto, soprano or both, you can find pop songs to cater to your tone and style. Using a professional singing coach can help you perfect those notes, and help you improve your sound. This song’s chord progression is C#m – F#m – A – B with no capo, or Bm – Em – G – A with a capo on the 2nd fret. Beginner guitar players can have some fun with the second option, but as you start to reach an intermediate level, challenge yourself by playing the C#m progression. This is a great way to test out those barre chords, which are not always easy when first starting, especially if you play acoustic. Start by doing a single strum of each chord (this also makes it easier to switch in time), and slowly add in that syncopated strum progression. This simple little riff is great when you’re first getting comfortable with solo notes. With a bit of practice, it’s easy to match the song speed. Once you’re confident, try playing it in front of friends of family – it’s a sure bet they’ll recognize the song right away! Once you master this riff, try soloing around it using these notes and see what you can come up with! (This is an Ab scale in the 4th position, for those keeping track at home! At Resound School of Music, we believe that learning music should be done on your own terms. What are your favourite songs? What bands inspire you? Those are the tunes we want to teach you to play or sing. To learn more about our fully customized music lessons in Vancouver, book your free consultation today!